As an art lover I admire and love all art forms and techniques. 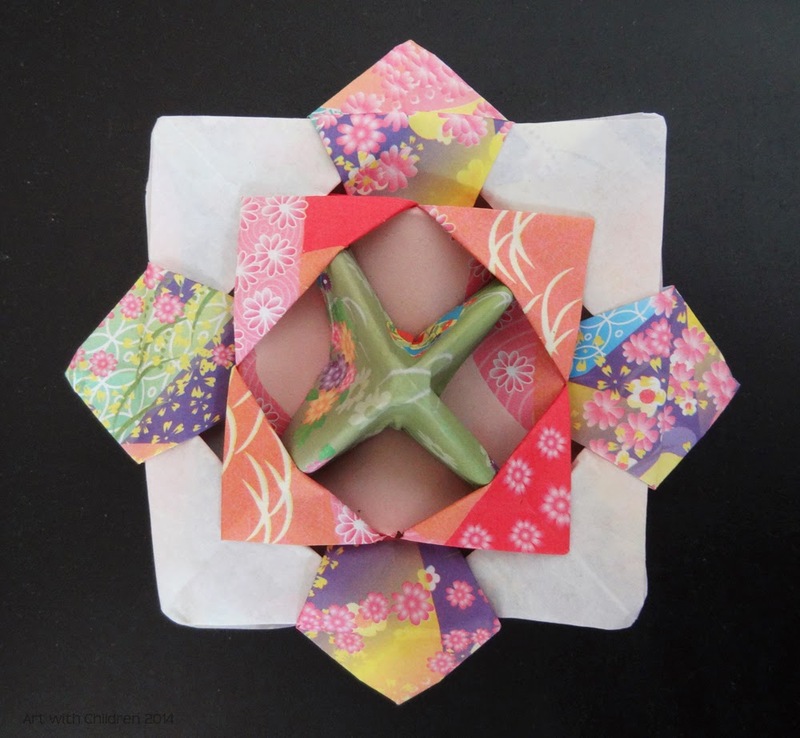 Origami is one such wonderful art that we can make amazing things by folding paper. I am really inspired and will try making some. 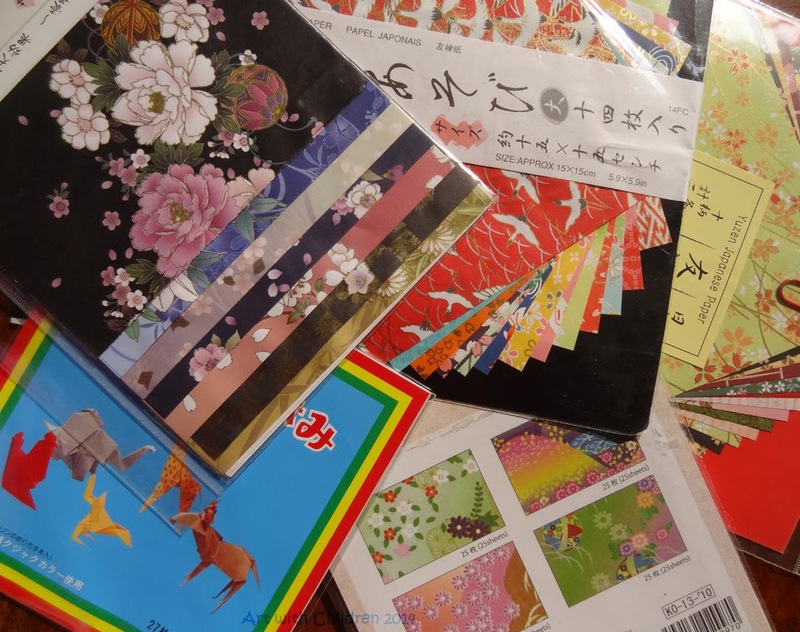 I am also planning to share a few ideas in our class, especially since we received some pretty origami paper as gifts for my students from Japan! With my knowledge confined to making boats and planes or the most common 'fortune teller' also known as 'chatter box'. I am fascinated by the kind of artworks like cranes, flowers, stars, baskets and many more made by a twelve year old child in our class. 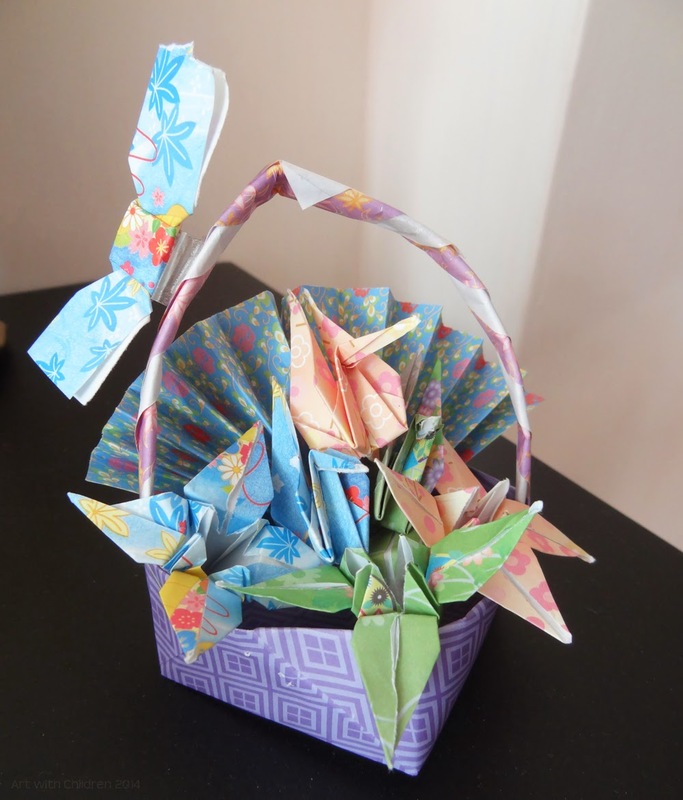 The most fascinating was the 'Thousand origami cranes' she had created for her ailing grandfather, that took her over six months or more to create!! A basket full of wishes! Now with the supplies in place, all we need to do is START! And we'll be back with more to share on this topic! I like to also add that they make great holiday or weekend crafts ideas for parents and children! So have fun creating them!